These two farms are being leased together. Having the La Moine River as a handrail for both of these farms make the hunting really spectacular all season. Early season is great because there is so much food available for deer along with close water access. The deer can and will cross rivers however tend not to unless they need to. Having the cover and food on these properties is an essential piece to drawing mature bucks in. Spring Creek 160 || Tucked in between the Lamoine River to the west and heavy CRP to the east. 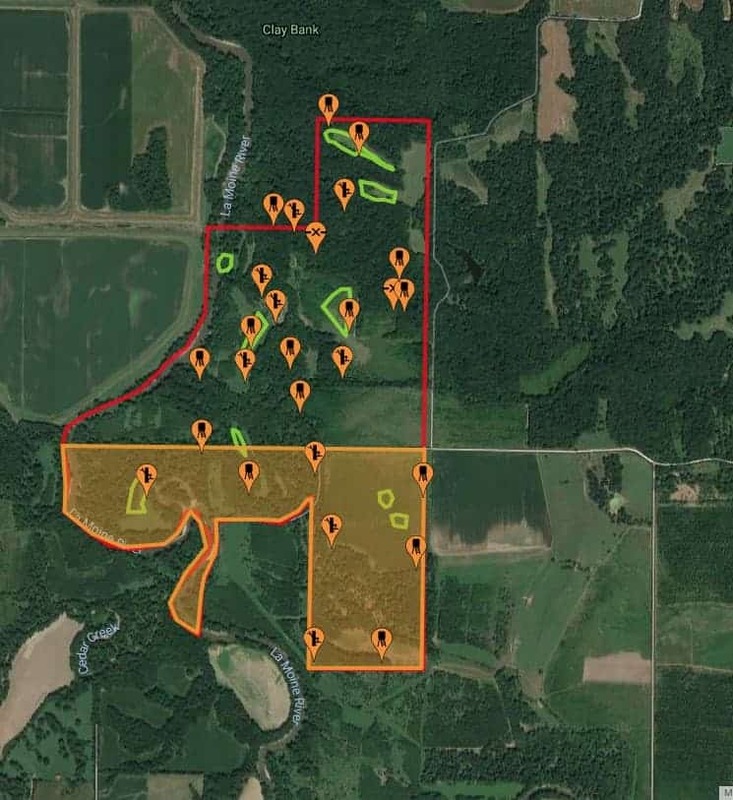 This 160-acre lease (shown in ORANGE) is fully set up with 9 brand new stand sets; 2.5 acres of food plots available for additional cost (fall plot) with the option to plant more; mowed and maintained access paths for electric buggy, QuietKat, or walking. River Farm || “The best pinch point in Schuyler county” This farm has more food per acre for whitetail than anything else we manage. With cattle pastures around the farm and dense CRP, whitetail live here all year long and the rut is so intense on this farm you better be ready at any moment to see a shooter buck. With multiple food plots and numerous tree stands and box blinds, you can hunt the wind strategically and access this farm with ease. The mowed paths are ideal for Quietkat electric bikes, ATVs, or walking. Interested in a Quietkat? Call 1-800-996-0477 for details! Lodging: RV hook up available! Port-a-potty provided! All on the hunting property! If you are looking for a place to hunt both during the archery and firearm season, the look no further. There is a creek that runs throughout the entire length of the property creating a natural deer travel corridor. The big timber ridges and agricultural fields offer great cover and food supply for deer to grow healthy racks and reach a mature age. This farm will not last long, call and book this lease today. 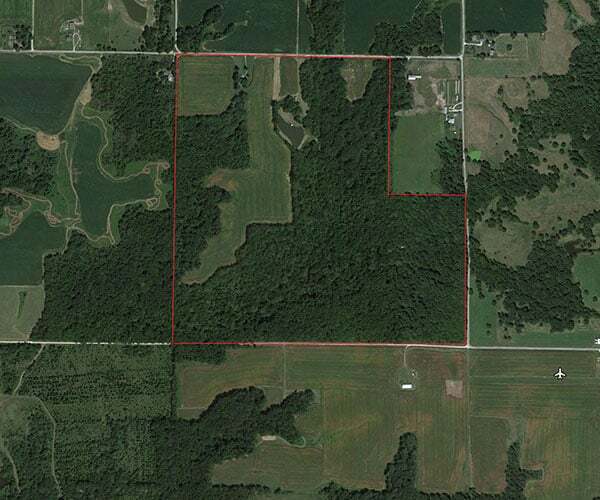 Bear Creek – Yes, almost half of this property is agriculture, however, we have found that this farm hunts so well with the common western winds because of the terrain in the timber. From creeks that funnel does and huge hardwood bowl-shaped ridges that big bucks love to travel the steep sides, stand placement is key. Dense thorns and dogwoods create an exceptional bedding flat that deer use as a hub to travel to any number of agriculture fields around. This farm also has that edge every whitetail hunter seeks from heavy timber to crop field, ideal for glassing and making a plan to setting up and seeing a lot of action during the rut. 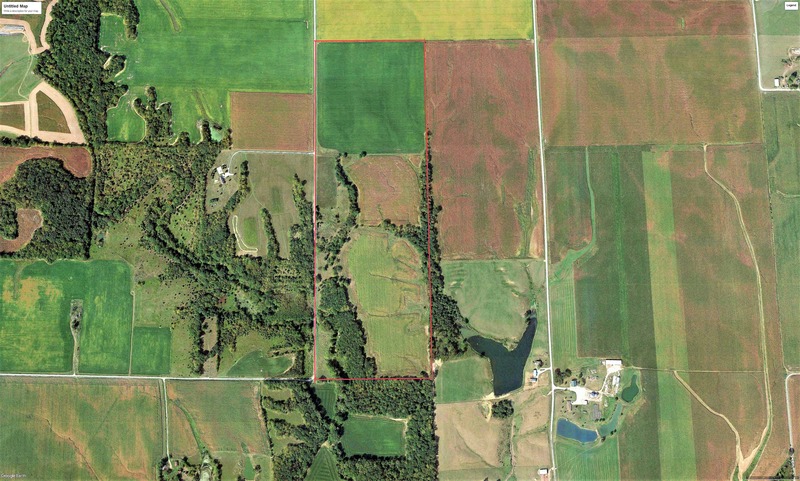 Hartweg Farm – With a nice creek working its way through the farm from the north and a pond in the SW corner this farm has the water source deer need during the rut. The ability to put food plots on this farm makes it a dream piece just NE of the small city of Carthage. Check out the edges and timber features. Many places to setup cameras and find out where the mature bucks are coming through. 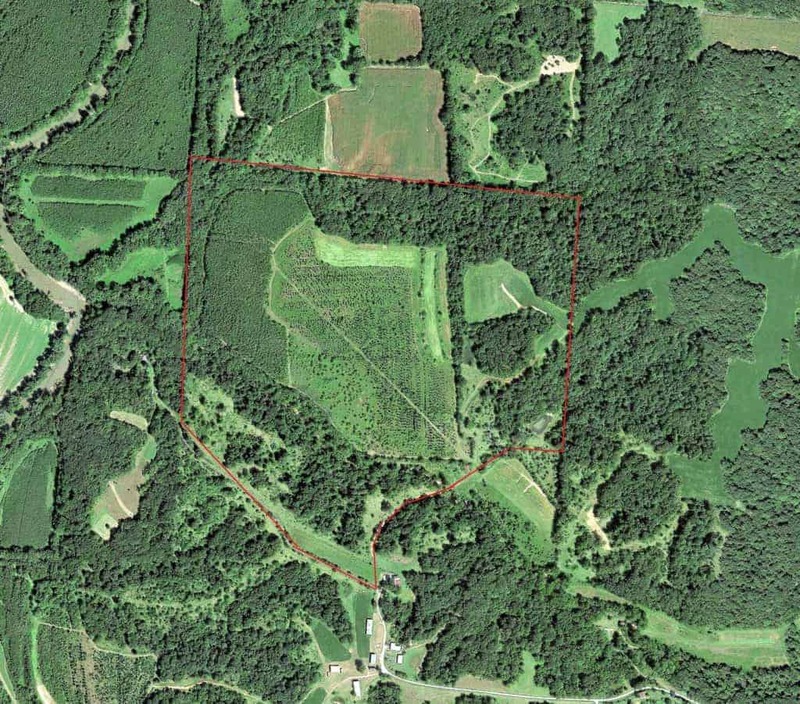 Pair this with the Bear Creek farm and you have yourself two very solid hunting tracts. World Class Deer Hunting Farm!!! This farm is an absolute must see. When hunters are together and talk about world class whitetail bucks, Illinois is soon to be the state that is always leading the discussion. 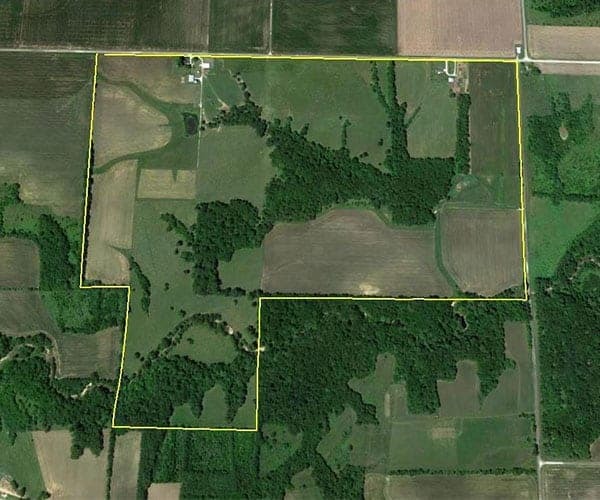 Nestled in the heart of Henderson County, Illinois is 600 contiguous acres of absolutely outstanding whitetail habitat. There have been several top end trophy bucks harvested from this property, which is proof that this property no doubt produces Boone & Crockett bucks year after year. 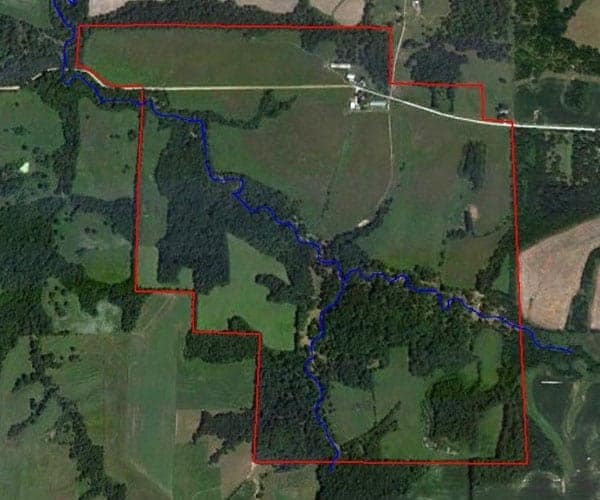 This whitetail mecca is made up of a winding river that surrounds and cuts through most of the property creating a natural deer travel corridor over the years. 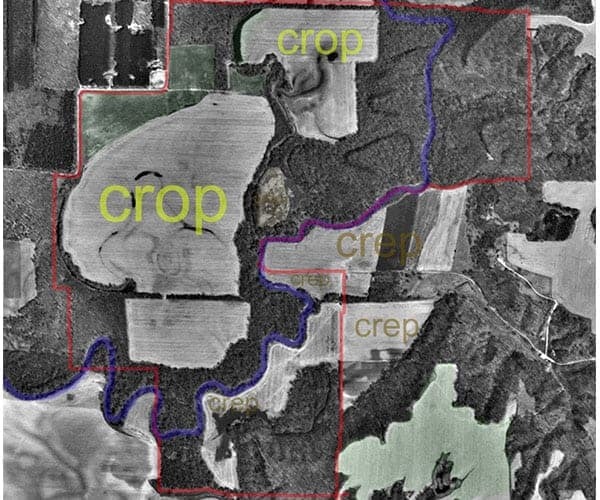 There are several mature hardwood lots consisting of a mixture of oak draws and river bottom maples that are woven into fields of agriculture and CRP 12 feet high creating a safe haven for deer to grow and reach their maximum potential and never have to leave the property. This farm has all the ingreadients deer need in food, water and cover. This really is one of the best farms in the world renown Fulton County, Illinois. One of the best parts about this piece of land is the numerous access points. Due to the roads around it, there are so many points to strategically creep into your stands depending on the wind and rut phase. 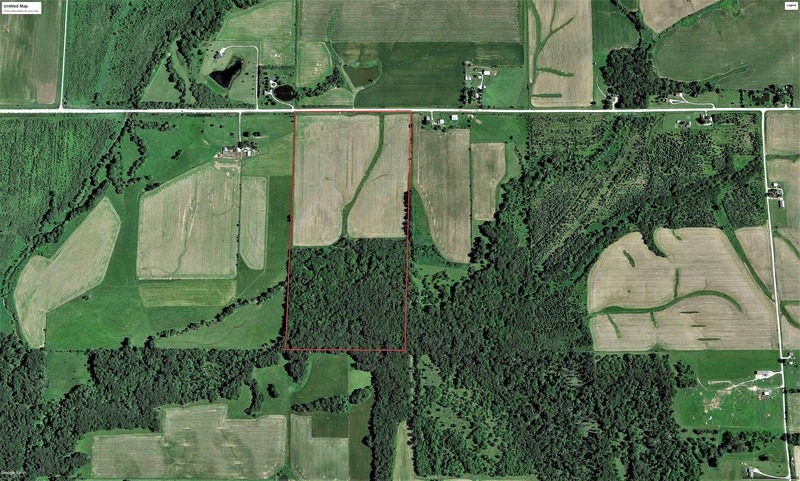 This farm is positioned in the NW corner of Schuyler County, Illinois. The unique factor the Chock Farm is that we own it, so in strict management and habitat improvement plan. 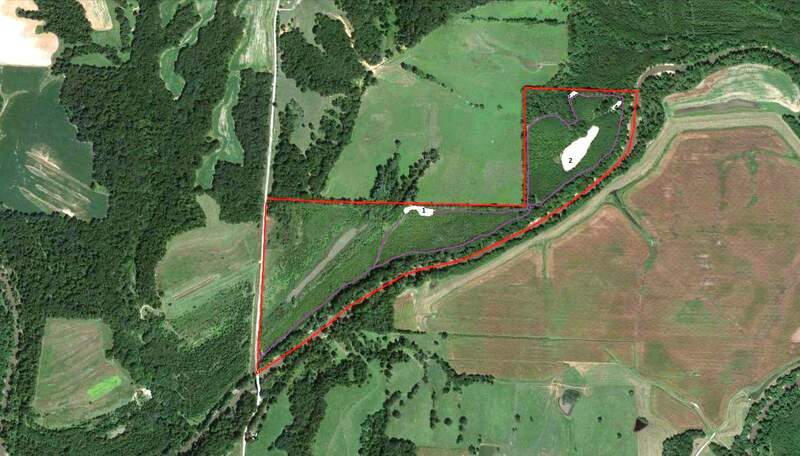 The property has been and continues to be strategically built with 100% focus on the Trophy Whitetail. The farm is setup to use the river that runs through it as pinch points and heavily used river crossings. Much like the “650” farm we have designated plots for food if you wish to add them to your hunting strategy. 25 minute drive from Macomb, IL and you will be able to hunt this river edged, hardwood ridged, under crop field piece of land! 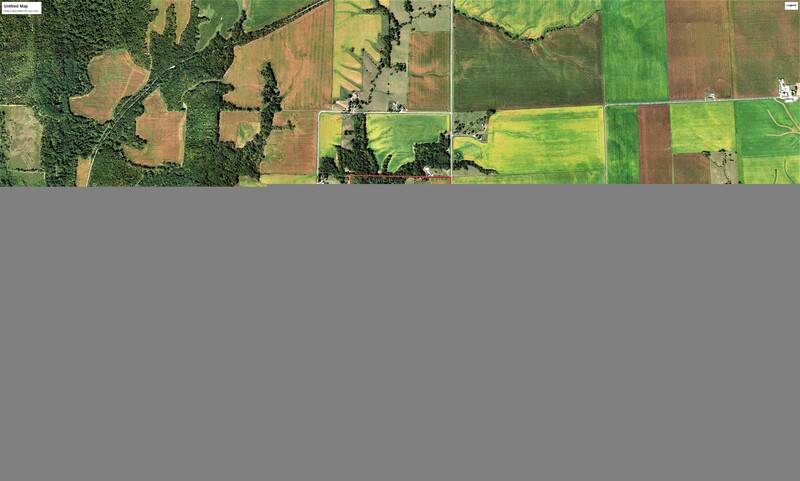 This farm is positioned in the NW corner of Schuyler County, Illinois. The unique factor the Schuyler 650 Farm is that it has a unbelievable amount of thick bedding for whitetails. It is in a strict management and habitat improvement plan. 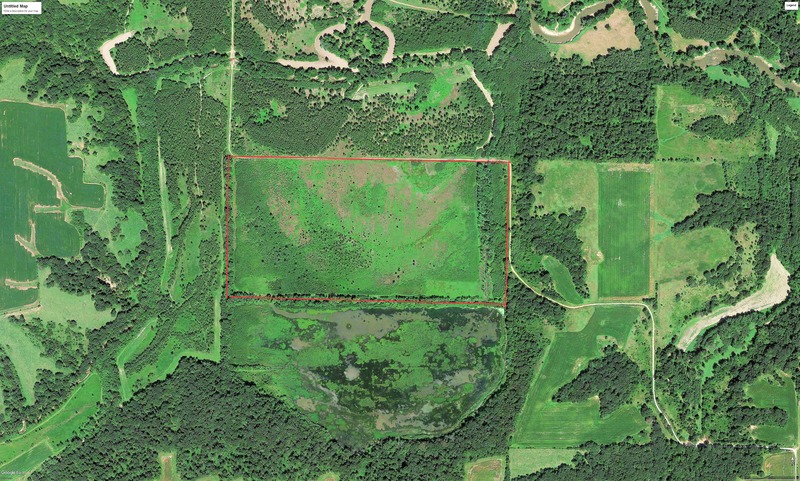 The property has been and continues to be strategically built with 100% focus on the Trophy Whitetail. The farm is setup with paths and designated plots for food if you wish to add to your lease. 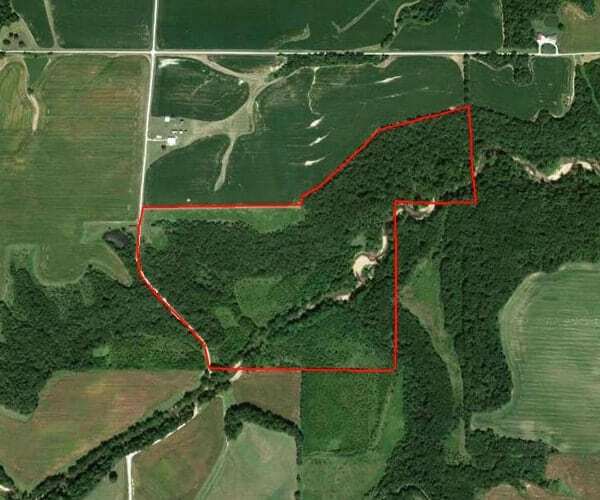 Our only Iowa piece of land that has been managed for over a decade! 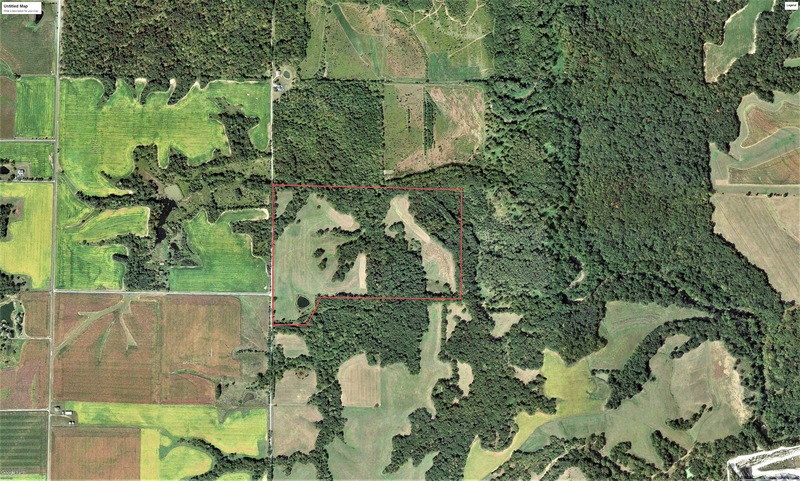 This property is the one you could very well find the mature buck you have dreamed about on. 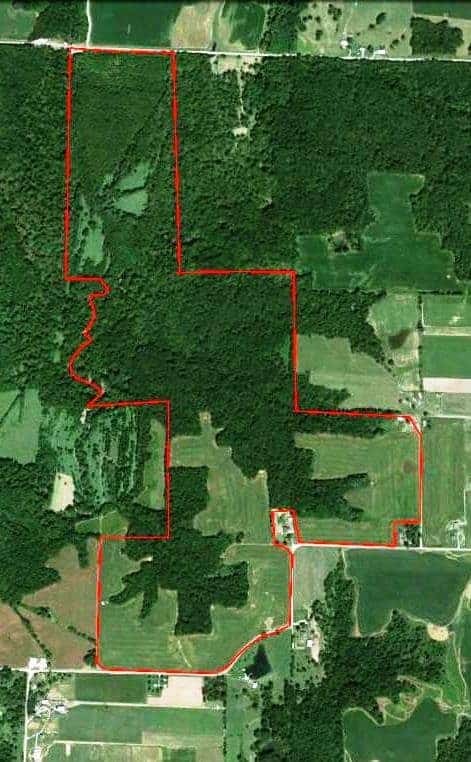 With the size and structure of this farm it makes it a great lease opportunity for bow hunters to hit hard during the rut and hunt with a few buddies. If you have the points or are a resident and want to hunt your own piece of dirt for 2019 give us a call and see what Iowa is all about!